The Woolmark Company and leading sports brand adidas have announced the 10 finalists for the inaugural Woolmark Performance Challenge. The Woolmark Performance Challenge is a new annual competition for tertiary students aimed at pushing the limits of product innovation and is set to kick-start the career of the eventual winner. In its first year the award attracted 510 student registrations from 58 universities from across Europe and North America. This exciting competition provides an unrivalled opportunity for tertiary students to develop innovative new product applications within the sports and performance market, by applying the science and natural performance benefits of Australian Merino wool. Launched in January 2018 at ISPO, Munich, the Woolmark Performance Challenge will now expand to a global competition for 2018/19, offering the chance to uncover and nurture innovative young minds from across the globe. “At the time when we started to plan the adidas x Woolmark Performance Challenge I thought this is a small project,” explained adidas Senior Design Director Tillmann Studrucker. “But it has gone beyond my expectation in terms of reach and participation since then. I am more than excited to see that there has been such a high interest in the competition. I want to thank all participants for their effort and time they put into this project. 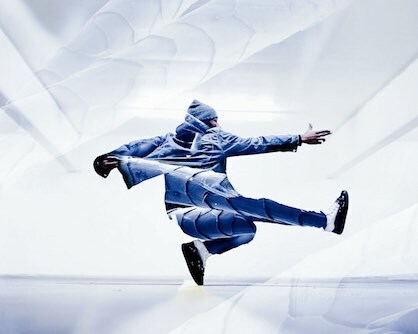 With all the creative and innovative ideas, it was not easy to make a decision on the top 10 ideas that were most fitting to adidas and The Woolmark Company. It will get even harder when we have to select the winner." "The Woolmark Performance Challenge is an exciting new phase of our product development program," explains The Woolmark Company Managing Director Stuart McCullough. "It provides an excellent opportunity for young talent to find a place for their exciting innovation on the international stage, whilst pushing the infinite possibilities of Merino wool into unchartered territories."